SIZE: 8 1/4" X 8 13/16"
ragguaglio di tutte le parti del Nuovo Mondo". 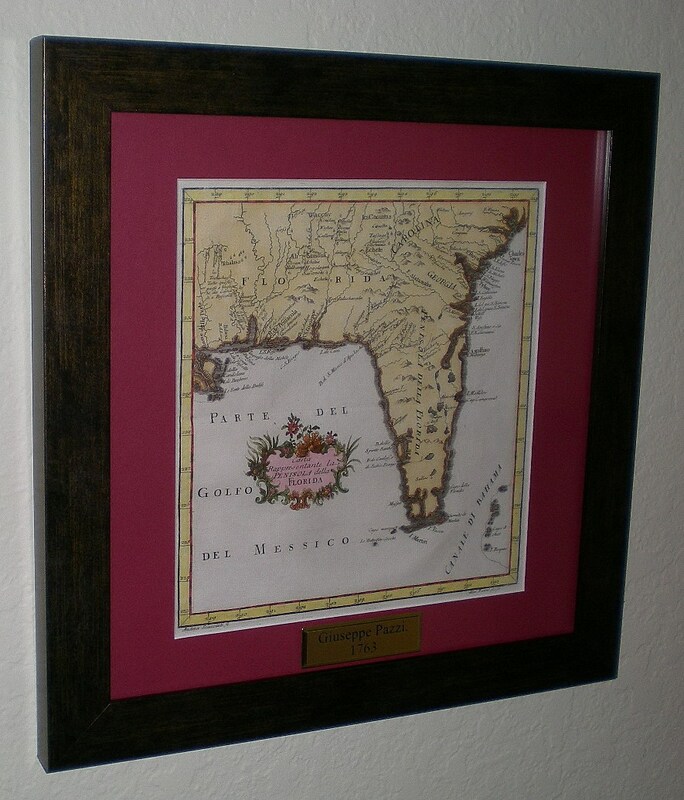 First published in London as The American Gazetteer in 1762, it contained 78 plates and maps. Pazzi supplied most of the maps, primarily by copying works of famous cartographers of the time, and changing the language to Italian. These maps were then engraved by well known artists, such as the "genre" painter Andrea Scacciati or encyclopedic illustrator Violante Vanni. 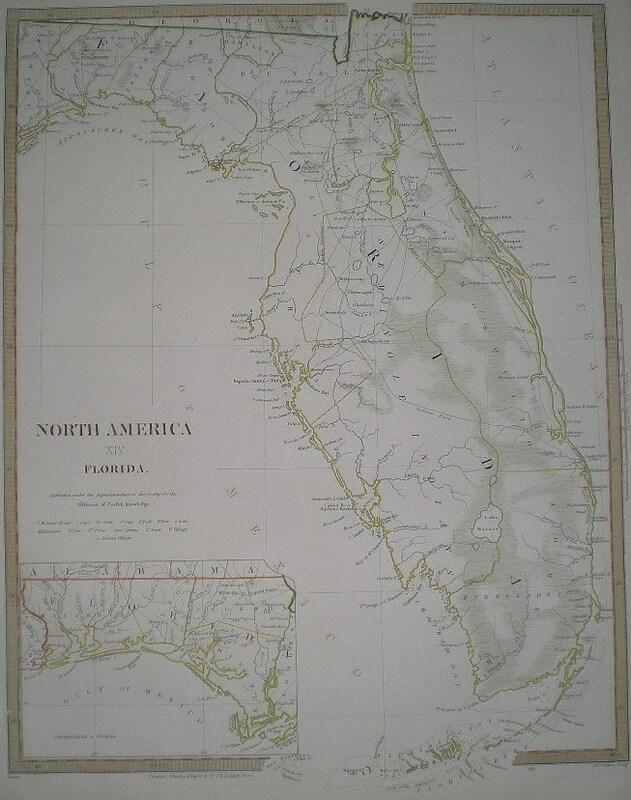 Carta Reppresentante la Penisola della Florida. 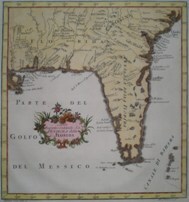 This small map (8 1/4" X 8 13/16") was printed for the 1763 Italian edition of the gazzetitere. 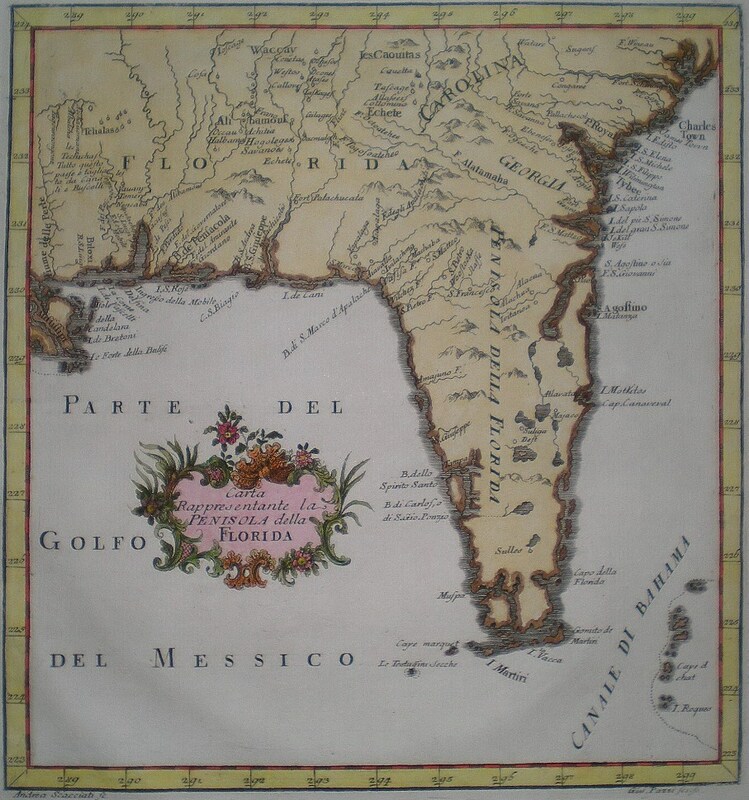 Its delineation is clearly derived from Bellin's 1754 "Carte du golphe du Mexique et des isles de l’Amerique". The inland topography is very tentative , and the sea shores are quite detailed, excepted for those of the peninsula itself.